Last week, ILI lost one of its top global leaders. John Lim Thuan Woon was a business man and Christian leader from Singapore who responded to God’s calling to serve the Church in Thailand more than a decade ago. After attending an ILI training in 2006, the Eight Core Values became an essential part of his missionary strategy. As he faithfully began multiplying his training in Thailand and his home country of Singapore, John took growing responsibility in ILI. He finally accepted the challenge to lead ILI in the geographically vast and culturally diverse region of Asia Pacific. While enjoying a relaxing afternoon with his wife, John collapsed and went to heaven immediately. John wasn’t a high-level clergyman or the CEO of a Christian non-profit enterprise. He was an ordinary guy who did extraordinary things in partnership with God. He simply heard the calling of the Holy Spirit and chose to lead through service before "Servant Leadership" became a buzzword. 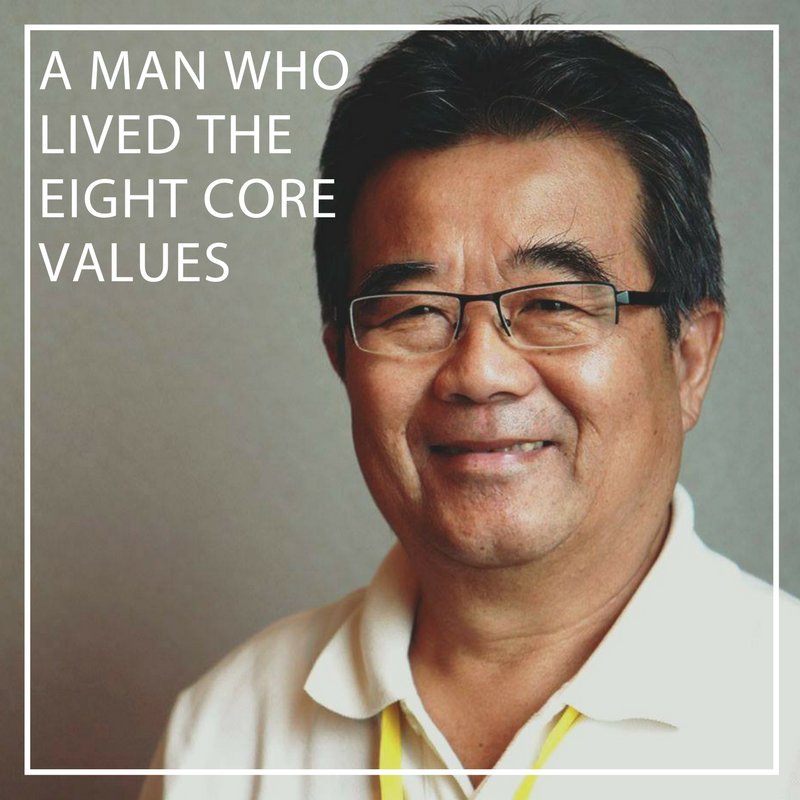 He not only learned and taught the Eight Core Values, but actually lived them and thus exemplified them to countless leaders around the world. John’s friends witnessed this and shared their thoughts. John was businessman with a passion to reach the lost for Christ. He had the spiritual gift of apostleship and took the Gospel to places where people had never heard the Name of Jesus. John embodied intimacy with God in the way his ministry was “empowered by the Holy Spirit.” During ILI conferences, he would invite people for salvation, healing, and deliverance. It was so natural and seamless that the Spirit just flowed through him to all of us. For him, the Holy Spirit was not an "and-on," but rather the Source of all he did and was. John adored his family, and was always very proud to show photos to me of his precious wife, children, and grandchildren. I saw, deep in his heart, how John carried a burden to keep the training of leaders going because he saw multiplication of leaders as the most crucial contribution one can do to advance the cause of the Gospel in our region of the world. Teaching alongside John was a spiritually enriching experience. He was not a teacher that taught from a throne, rather, a teacher on his knees. Not just praying on his knees which I often witnessed, but serving on his knees as he ministered to the many that fell after his anointed prayers. Older PostThe Dream that Changed History Remembering MLK Jr.